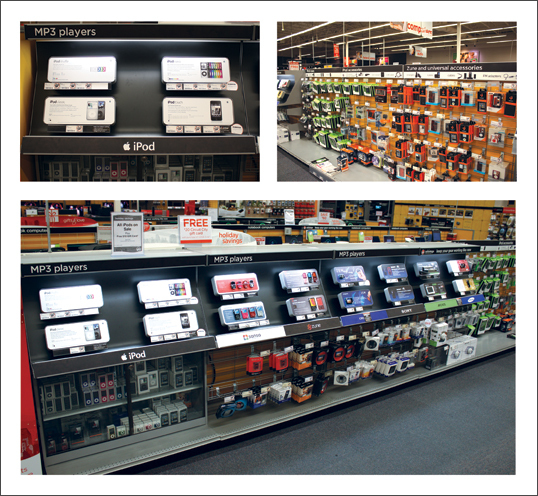 Project Details: We partnered with retail installation pros Actionlink to create a best in class display for MP3 players in Circuit City stores. The “pod” graphics that mounted to the display were created by our team as well as teams at each respective manufacturer under the guidelines and art direction that we provided. 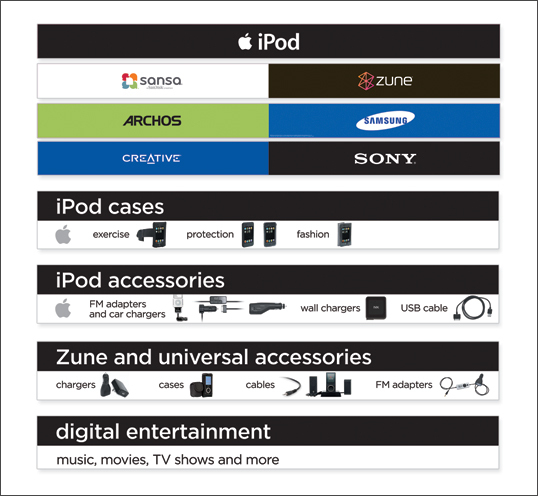 The display was easily shoppable for customers and made a significant boost to the sales of MP3 players in Circuit City stores. Graphics were rugged, durable and could be changed out easily as product life cycles shifted from quarter to quarter.